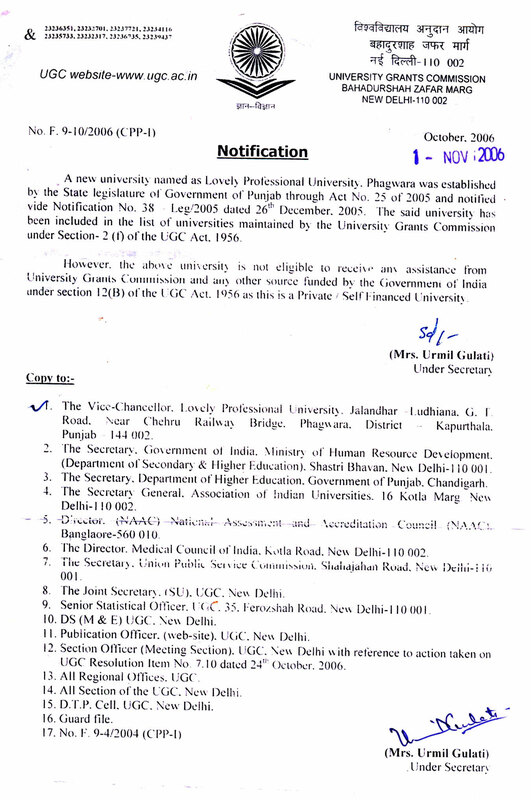 Lovely Professional University is recognized by the University Grants Commission- Distance Education Bureau. 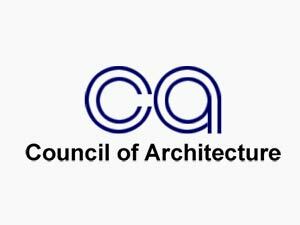 Open and Distance Learning programmes recognized by the concerned regular bodies are equivalent to the corresponding regular mode programmes for higher education and employability purpose. ​​As per the notification issued by Ministry of Human Resource Development, Government of India, all the approved programmes offered through Open and Distance Learning mode of education by the University established by an Act of Parliament or State Legislature, stand automatically recognized for the purpose of employment to posts and services under the Government. 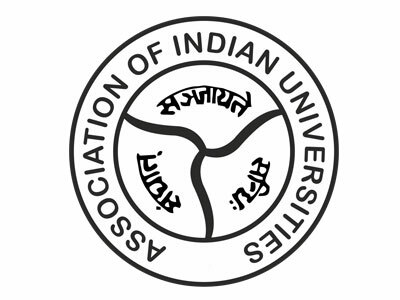 ​​As per the notification issued by University Grants Commission- Distance Education Bureau, the degrees/ diplomas/ certificates awarded for programmes conducted by the Open and Distance Learning institutions, recognized by the UGC/ erstwhile DEC, should be treated as equivalent to the corresponding award of Degrees/ Diplomas/ Certificate of the traditional Universities/ Institutions. 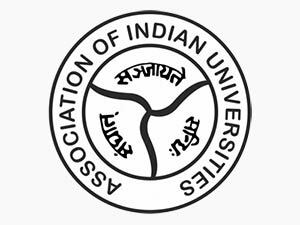 As per the Gazette of India, University Grants Commission Notification dated 23 rd June, 2017 [Refer Regulation 8 (1) (v)], the Higher Educational Institutions (HEIs) may continue to offer Certificate or Diploma or Post Graduate Diploma programmes through ODL mode subject to the condition that all these programmes are duly approved by the statutory authorities/ bodies of the respective HEIs i.e. 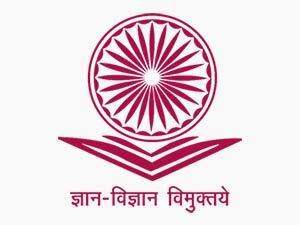 Approval of the UGC is not required for the Diploma/Post Graduate Diploma programmes offered in ODL mode. 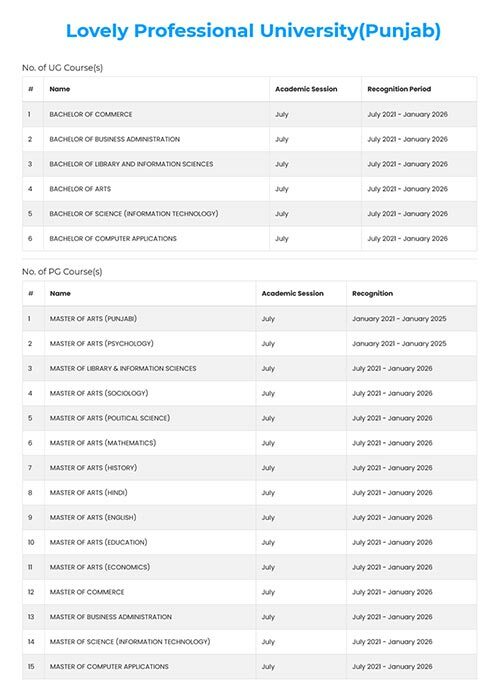 Click here to view the UGC Notification. 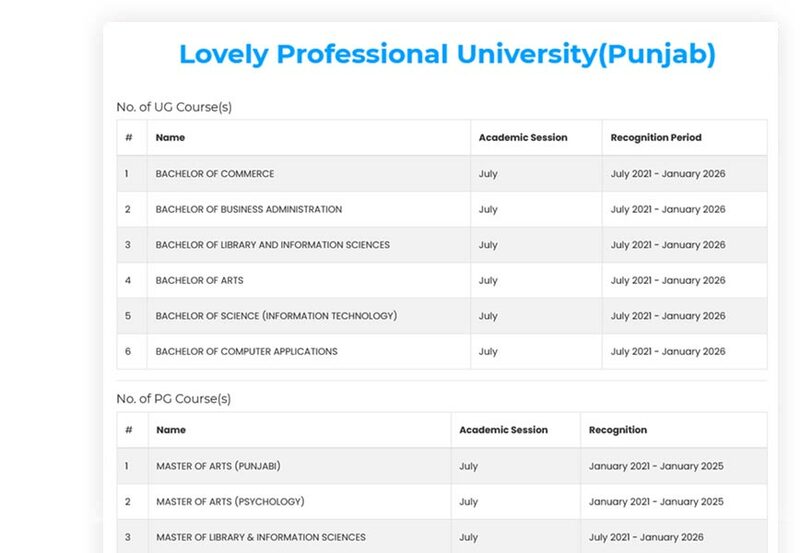 Lovely Professional University is a member of Association of Indian Universities (AIU), an organization promoting university activities. 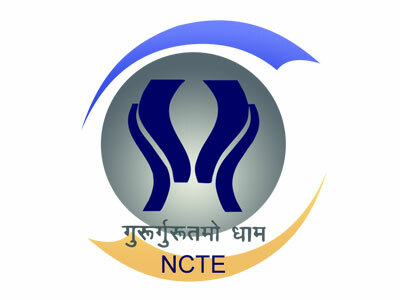 A statutory body of the Government of India established for planned & coordinated development of teacher education system. 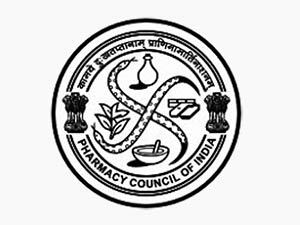 A statutory body of Government of India established to regulate the Pharmacy Education. A pharmacist can register under the Pharmacy Act and pursue the Profession and Practice of Pharmacy. 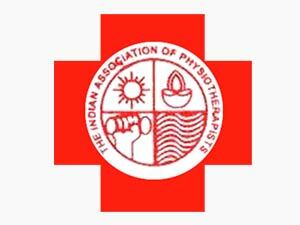 Department of Physiotherapy has been granted provisional affiliation to IAP, an association to set and ensure ethical professional practices. B.Arch and M.Arch programmes at Lovely School of Architecture & Design are approved by COA, a statutory body constituted by the Government of India. 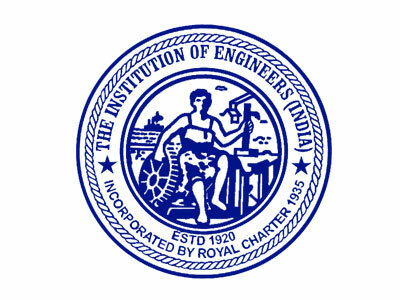 All Engineering, diploma & computer science courses are recognized by The Institution of Engineers (India). AICTE approval is not required for a university to run a course in technical education as has been held by the Hon'ble Supreme Court in its judgment CWP2056 of 1999 titled BHARATHIDASAN UNIVERSITY & ANR. 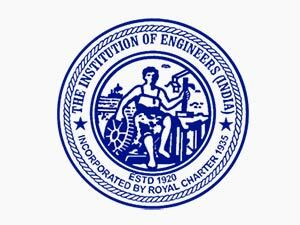 V/S ALL INDIA COUNCIL FOR TECHNICAL EDUCATION &ORS, and various other cases.View copy of the judgement.